The latest, auto-loading equipment is used at Donal for all our Laser Cutting. Customers depend on our outstanding service and timely delivery to maintain their assembly line and production schedules. Cost efficiency and quality are the determining factors in deciding in favor of laser processing. Lasers are fast - the process speed is often greater than with conventional processes and the workpiece does not experience a mechanical load. 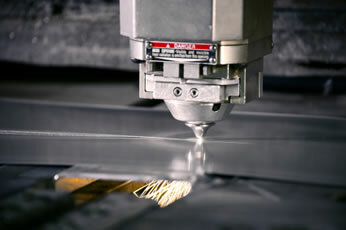 Lasers are precise - they can produce fine contours and structures with great precision. Lasers are flexible - a single tool enables the creation of a wide variety of forms and contours while reducing or eliminating secondary processes. This speeds up production and increases productivity. The Customer’s satisfaction has always been the defining characteristic of Donal Machine since its founding in 1969.